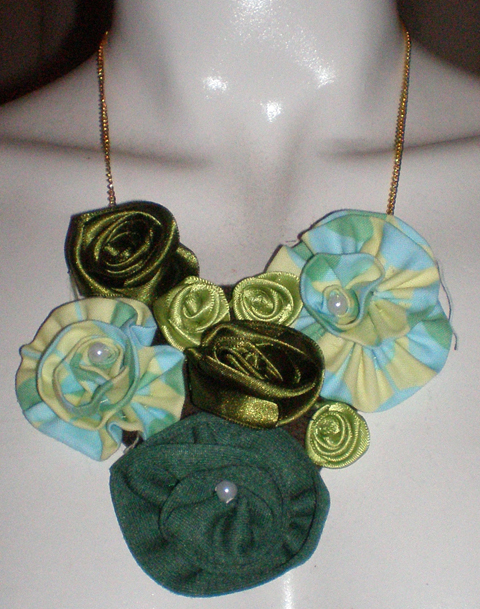 This statement bib necklace is just a girly accumulation of ribbon roses, fabric flowers and pearly beads. 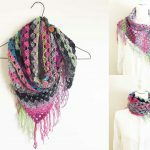 I’m sure everyone has a stash of leftover materials lying around; this fun project could be for you? I love the delicate look of ribbon flowers, and they look even better when lots are bunched up together. I found this great video on how to make ribbon roses on YouTube. Once you get started, the roses are pretty simple to make. 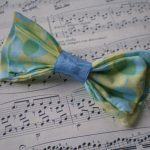 I’ve seen lots of other methods, like the one where you fold the ribbon and then pull it through, but I find this video’s “twist and stitch” method gives you better control of the size of each petal, and doesn’t waste so much ribbon. The fabric flowers are even easier to make then the roses, so you’ll have made enough for a bib necklace like this in no time! 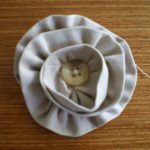 Here is the tutorial on how to make fabric flowers. There’s so many different flowers you can make out of fabric, does anyone want to share their version here? It’s fun to mix patterns and textures; stick to the one colour scheme and you can’t go wrong! 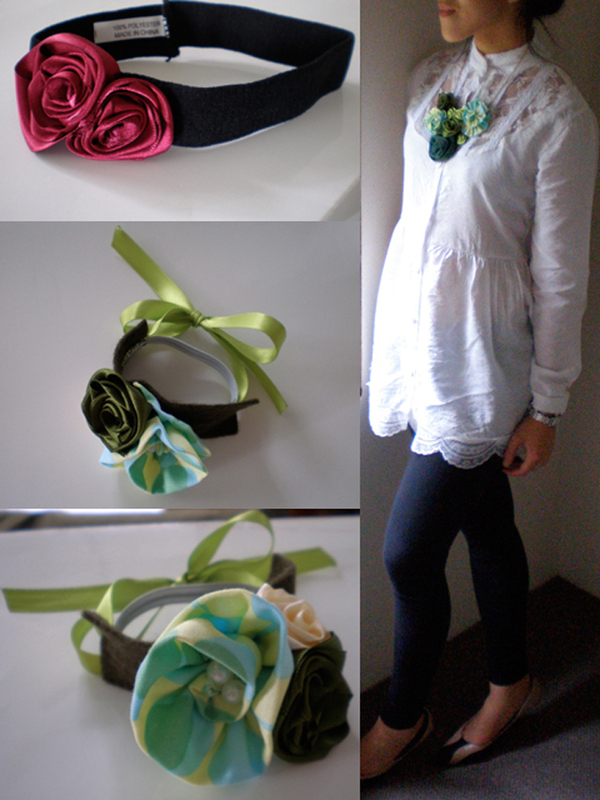 Make ribbon roses and fabric flowers. Pin randomly onto a felt square. Once you are happy with the layout, hand stitch each flower onto the felt. Trim the felt close to the stitches, so that the felt does not show through to the front of the necklace. Stitch two lengths of chains onto the felt. Pull the thread through each several links in the chain and you should have a strong attachment. Cut chains to desired length. Place a fastener on one chain, and a round ring to the other to make a detachable necklace. Cut a piece of fabric (I used calico) that is 1 cm all around bigger than the felt bib. Fold in 1cm and sew onto back of bib. This covers all the knots from stitching on the flowers. Crisp white business shirts: unbutton the top 2 buttons and wear your necklace to cover the exposed neckline. I also made a little bracelet for my 4 year old niece, from the same ribbon flowers. I decided to also stick some on to a baby headband, to give away as a birthday gift to my baby niece. The roses are so simple to make, but looks oh so pretty on everything. I hope the girls like their little bloomy presents!